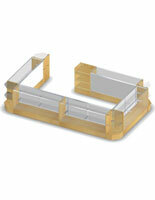 Our cash wrap counters are perfect for displaying eye wear, jewelry, and even designer purses. Designed for boutiques, specialty shops, and mall vendors, such display counters as these cash wrap counters will fit into just about any retail environment. 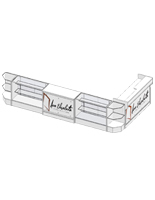 Use them in combination with other store fixtures, or you can even use them by themselves. No matter what you choose, our cash wrap counters are sure to draw some attention. 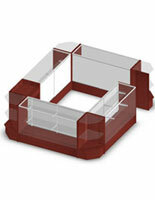 With their cherry melamine and tempered glass panels, customers will be lured into your attractive displays. 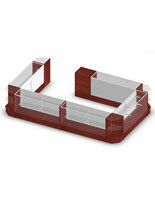 These cash wrap counters will even enhance the beauty of your merchandise. By drawing more attention to your retail displays with store display counters or other wrap counters, you will also be increasing sales as well. 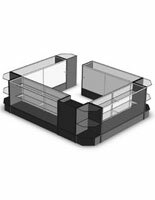 These wrap counters are comprised of one 24" checkout counter, four 72" store display counters, and four corner sales counters. We sell these cash wrap counters complete with a register stand and ample room for displaying merchandise to make shopping for a store fixture that much easier. 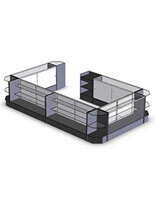 Each of the counters has adjustable shelving to accommodate your storage needs. 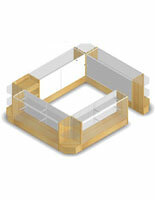 We've even taken the guesswork out of purchasing your retail displays. 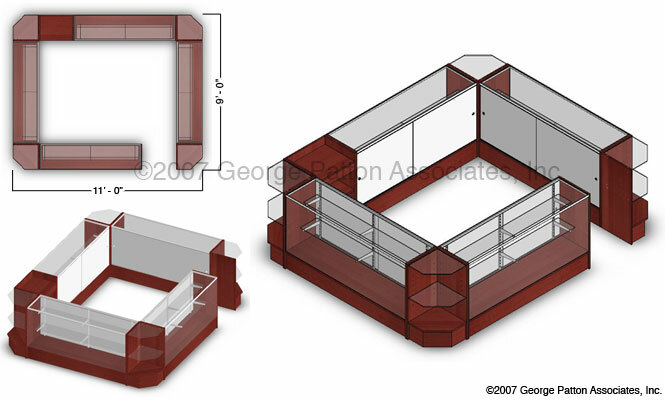 All you have to do is choose the size and finish that is right for your shop. Please Note: This configuration ships unassembled, saving you money in shipping costs! 132.0" x 38.0" x 108.0"